Although she hides it well, Lee Lewis, artistic director of Griffin Theatre Company at the SBW Stables Theatre, closely resembles the griffin of legend: a bold and ferocious creature with the body, tail, and hind legs of a lion and the head and - if female - wings of an eagle. She also has the widest and most beautiful smile and the ability to infect anyone close by with her joy and enthusiasm for theatre. This week she officially launched Griffin Theatre Company’s 2018 season with characteristic joie de vivre and it’s definitely going be exciting and in need of her courage and fortitude, for a number of reasons. The first is the play that begins the Stables Theatre year. David Finnigan’s Kill Climate Deniers is the 2017 Griffin Award-Winner and what was supposed to be its first production, in Canberra, was bullied off the stage by Andrew Bolt and other conservative media mouths for whom the title was enough to cause apoplexy, never mind that they hadn’t actually seen it. Impending Everyone (20 June-7 July), Charlie Pilgrim (Or A Beginner’s Guide to Time Travel) (21 November-1 December). More special events: Fag/Stag (January 10-27) Jeffrey Jay Fowler and Chris Isaacs exploring contemporary masculinity. Hello,Beautiful! 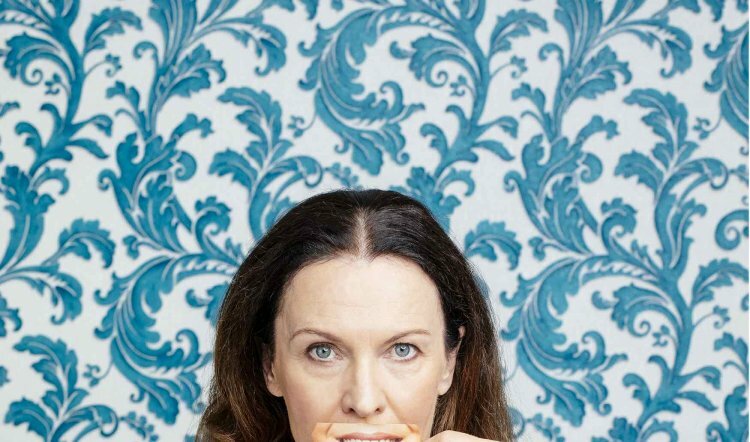 (July 9-14) is unusual with playwright Hannie Rayson doing her one-woman show directed by Matthew Lutton and featuring stories from that novel. The Orchid and the Crow (July 17-21) combines testicular cancer, cabaret and story in Daniel Tobias’s outrageous comedy with songs. In Shabbat Dinner (September 10-15) Anthony Skuse directs Jessica Bellamy in her performance-dinner celebration. And finally, The Smallest Hour (December 5-15). And there’s more, but no steak knives and that will do for now. Announced just 36 hours ago, it’s predictable that more comment has been made about the five female leads in the five mainstage productions than about the eclectic, exciting and – yes – daring program. Pre-WITS (Women in Theatre and on Stage) few would've raised an eyebrow at just the opposite – which was most often the case year after year on all our stages, main and otherwise. Funny, innit?